OAKVILLE, ON – Cameron’s Brewing has announced the release of a new fall seasonal that will be available exclusively on draught for a short time. One-Eyed Grouse is described by Brewmaster Jason Britton as having a “balanced malt character, orange in colour, delivering hints of cereal and candied plum. This beer is firmly married with a fruity bitterness, driving through to pleasant earthy floral hop notes. Very quenching”. 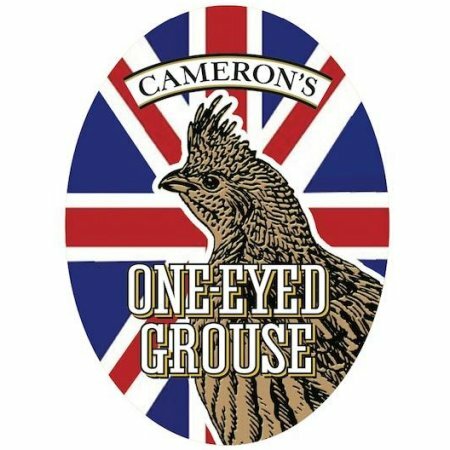 Cameron’s One-Eyed Grouse is available now at select bars and pubs in Oakville, Toronto and surrounding areas. For more details on distribution, watch the Cameron’s Facebook page and Twitter feed for announcements.